If you need a Massachusetts serious injury lawyer, contact the Law Offices of Joseph J. Cariglia today. We are one of the most well respected personal injury law firms in the state and will work hard for you, whether you've been in a car accident or have suffered any other type of injury because of someone else's negligence. No fee unless we collect for you! We started our law firm more than 40 years ago and have settled tens of thousands of personal injury cases. Our Massachusetts serious injury lawyers are some of the most experienced and well-regarded in the state, drawing inquiries for advice from other lawyers all the time. Don't stand alone against big insurance companies. The Law Offices of Joseph J. Cariglia has the resources to stand up to insurance companies to fight for your rights. We have developed our own computer system that manages and analyzes all of our cases. We have a seasoned staff that is well-versed in these types of issues, and we have contacts with experts around the state. We will fight for you, and we fight to win. We have thousands of personal injury cases at any one time. Why? We don't back down. We are tough attorneys who will go the extra mile for your case and will get you the settlement you deserve. We have won numerous multi-million-dollar settlements. Contact us today before you talk with an insurance company or sign anything. We don't get paid unless you get paid. 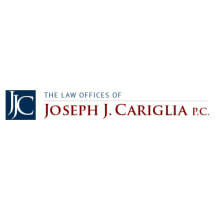 From our offices in Worcester, the Law Offices of Joseph J. Cariglia, P.C. helps clients facing personal injury related issues throughout Worcester County and Central Massachusetts, including Springfield, Leominster, Fitchburg, Clinton, Marlborough, Shewsbury, Auburn, Oxford, Spencer, Sturbridge, Framingham, Milford, The Mass Pike Route 290, Route 2 and Route 495.